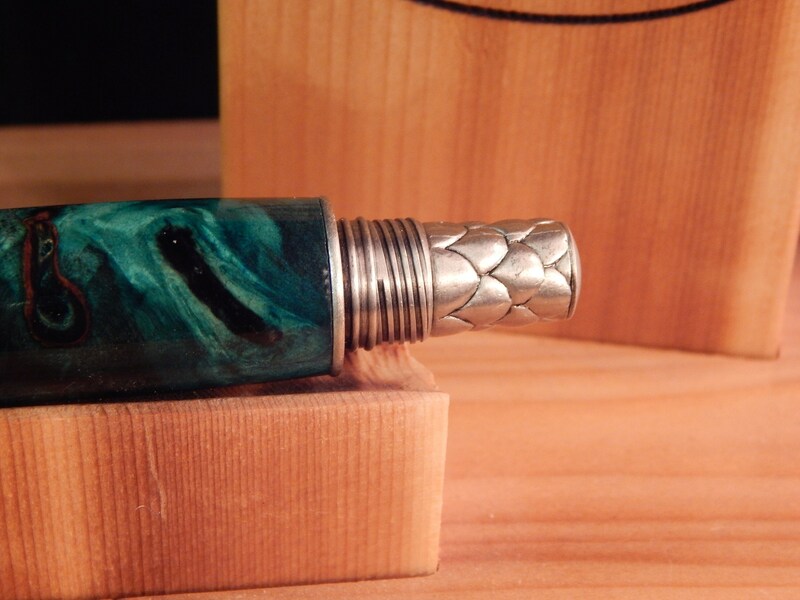 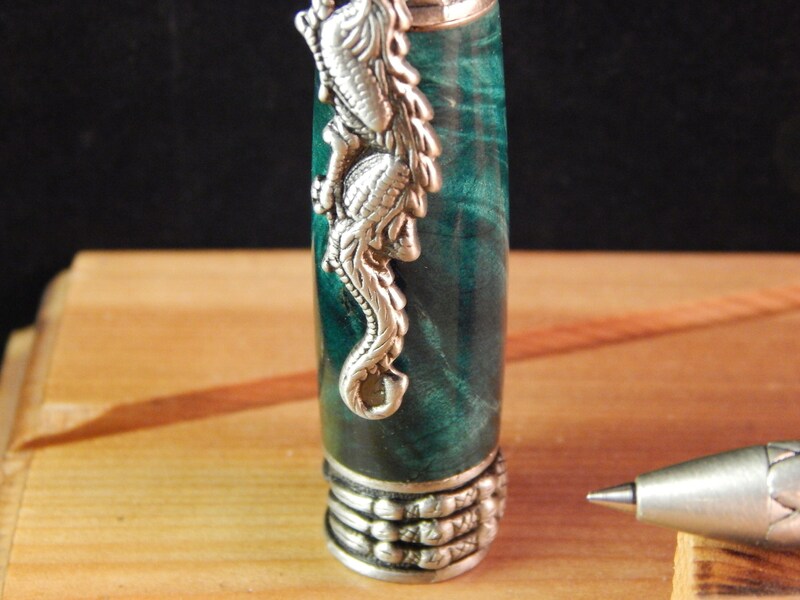 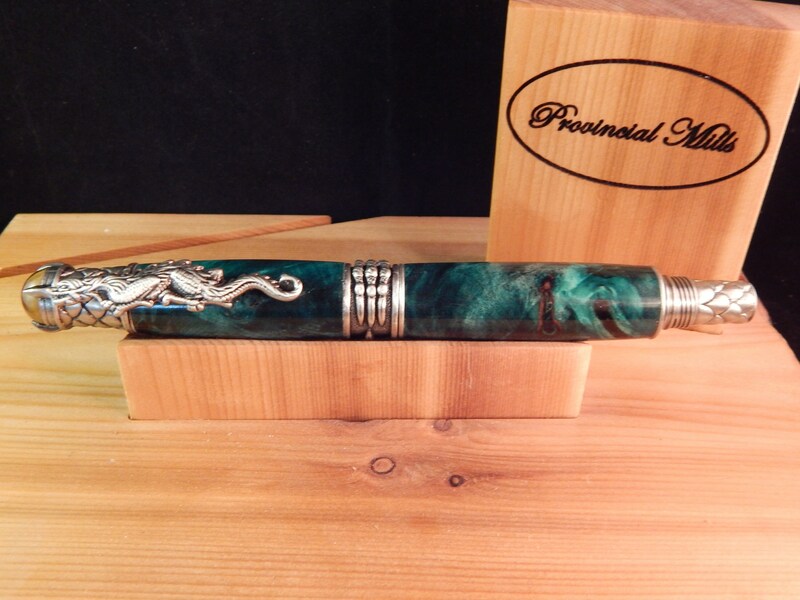 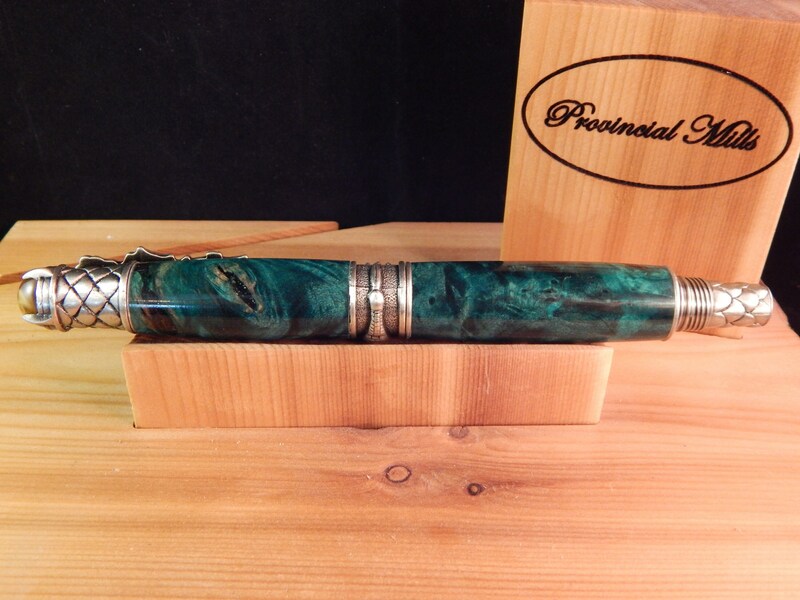 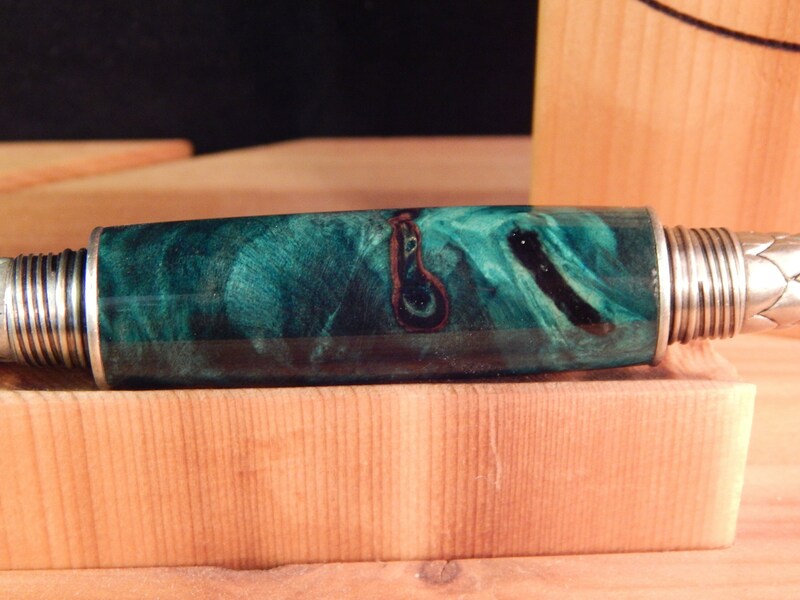 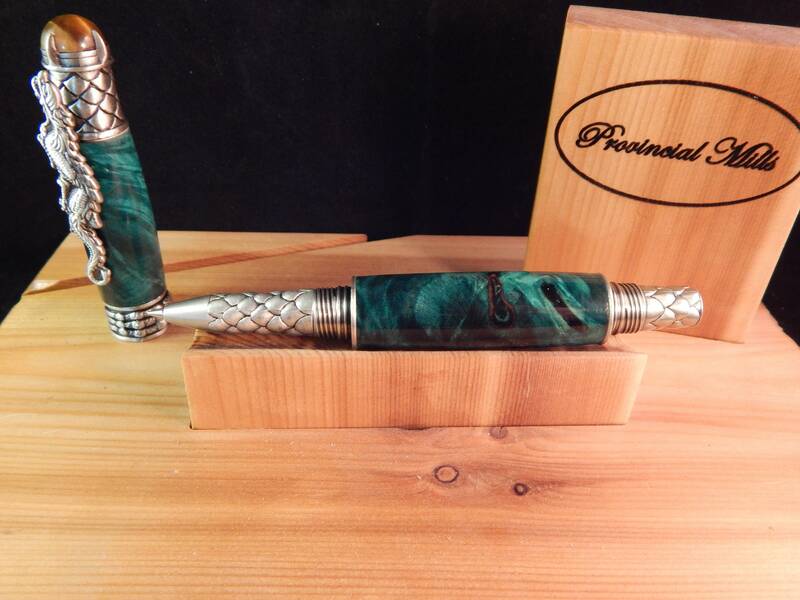 This dragon rollerball pen was crafted from turquoise buckeye burl and matched with antique pewter fittings. 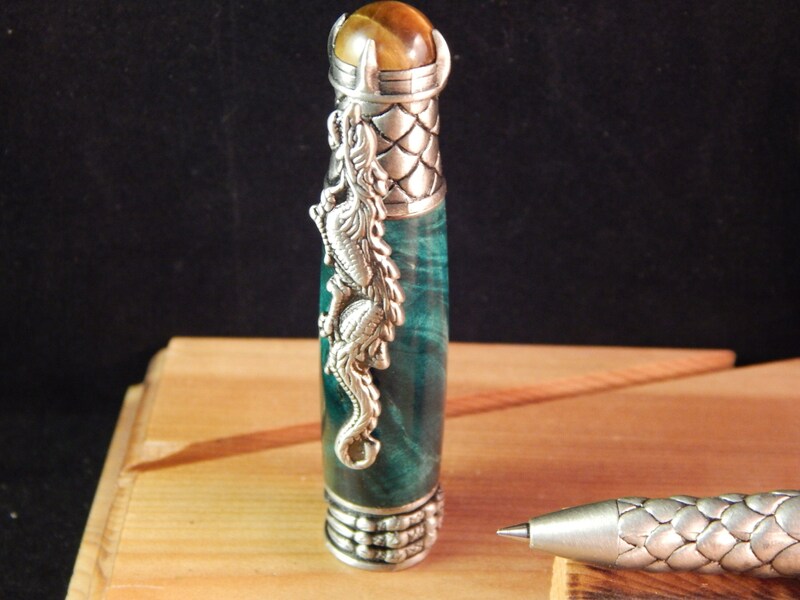 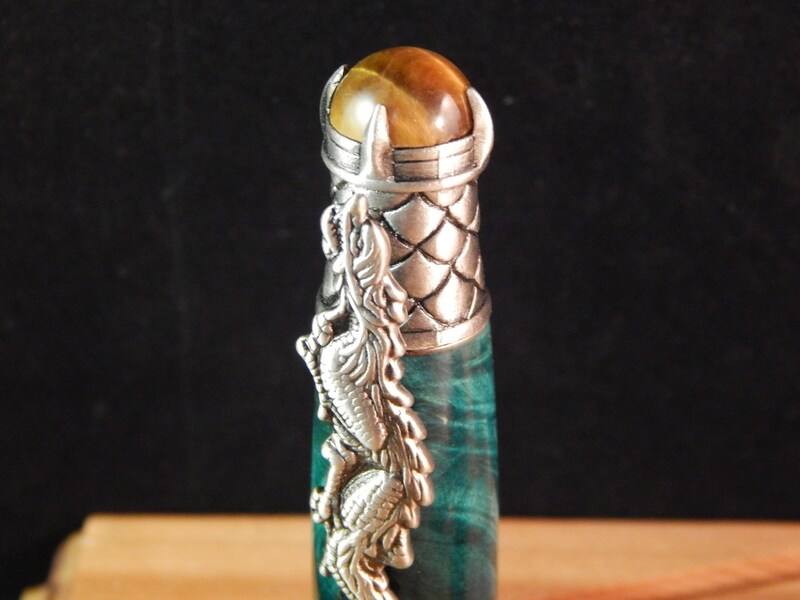 This pen features a dragon clip, dragon claw around the center band, dragon scales around the pen tip and end cap, and a tiger eye stone set on the end of the cap. 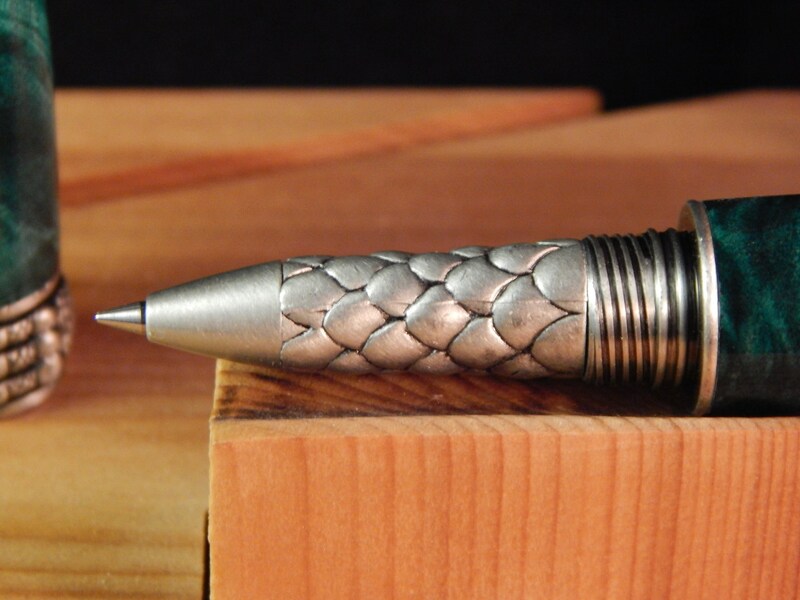 The pen cap is a screw on cap and can be posted while the pen is in use. 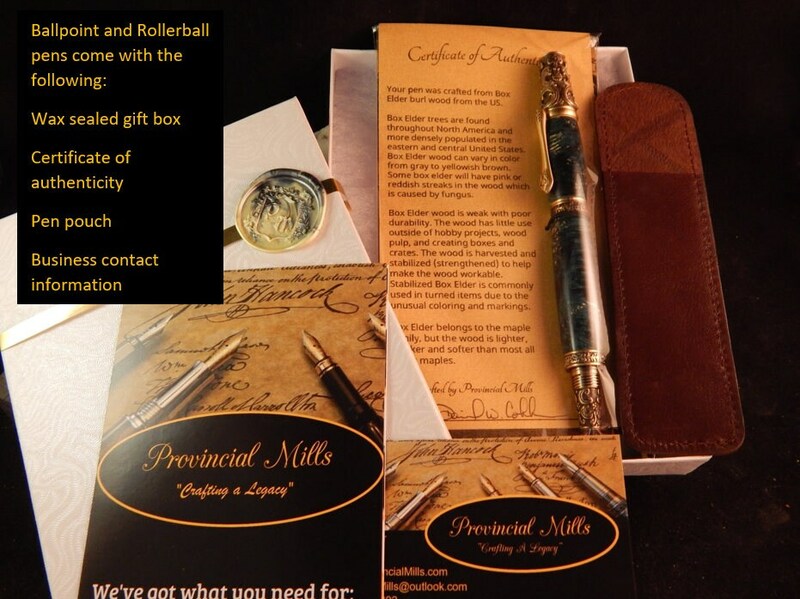 This rollerball takes Schmidt 888 or Schmidt 5888 ink refills.